If you had to risk wealth and reputation on either the Celtics, Clippers, Grizzlies, Kings or Jazz staying on their current course for the rest of the season, who would it be? Cruz: It’s been a very long time since I’ve typed this sentence: I’m going with the Kings. De’Aaron Fox is extremely fun to watch. Buddy Hield is doing much more than I thought he was capable of coming out of college. Willie Cauley-Stein is a stable presence for them in the middle and also might have the best three-name name since Sarah Michelle Gellar. Add in the fact that Iman Shumpert is seemingly back to being a productive NBA player and Marvin Bagley showing intriguing signs of improvement on the daily and you’ve got some solid ingredients for a solid team. All that being said, they’re still a very young team and making that leap into playoff territory is a stretch at this point. Vivek’s crew is currently sitting at .500 and that sounds about right for this exciting, up-and-coming team. Ogletree: Well I don’t’ have much of either but I’ll still give it a shot. I’m going to go out on a limb and say the Grizzlies. I know they play in what should be one of the toughest divisions in basketball, but it is such a mess right now. The Rockets and Spurs both have problems that may take longer to work out than previously thought. 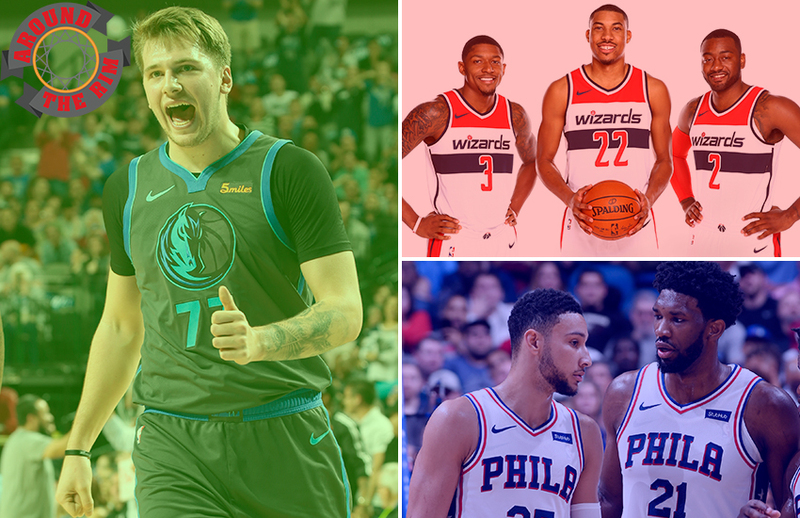 The Pelicans seem to always be fighting for the eighth seed no matter what year it is, and I’m not sure Luka Doncic is ready (yet) to lead the Mavericks to a playoff spot in the West. People may have forgotten how good Mike Conley and Marc Gasol can be together. Conley is averaging numbers that would serve as the second-best season of his career if he can keep them up. At 34 Gasol is somehow rebounding at the best rate in his career. Add in solid numbers from 6-11 rookie Jaren Jackson Jr. and you have a team that’s a tough out. Deeks: Grizzlies. Last year, there was huge incentive for them to lose, and boy did they manage it. But this year, there isn’t one, and there’s also a huge talent increase on last year. 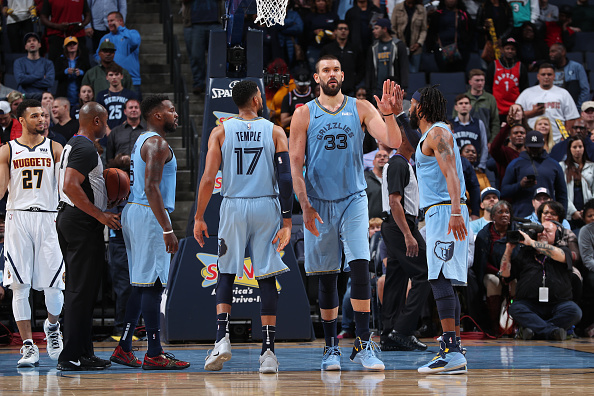 In Jaren Jackson Jr, Garrett Temple and Kyle Anderson, the Grizzlies have consciously remained steadfast to their Grit ‘N’ Grind approach, all with a much greater talent level, and of course the enormous upgrade from Andrew Harrison and Mario Chalmers to the returning Mike Conley changes games. They also hinted at this when healthy last year—over the first six games of last season before Conley got hurt, they went 5-1, with wins over the Warriors, Pelicans and Rockets (twice). The Conley and Gasol duo are still an extremely good one, and while their middle-of-the-pack defensive rebounding lets them down slightly, I am writing this a day after they blocked 19 shots as a team. They can defend. The fourth seed flatters them, but a 50-win pace is very possible. Of course, so too is the other scenario in which they taper off to low- mid-40s, but then my combined wealth is only £14.76 so it’s still a small risk for me here. Zatzman: My wealth and reputation are non-existent, so I’m thrilled to start off with a low-stakes question. Some of these teams are quite unlikely to stay on their current course. The Celtics, most obviously, will improve at some point. The Jazz are also be an obvious bet to win more games, as Donavan Mitchell has to start hitting shots more consistently. The Kings, Clippers, and Grizzlies are all in a much more likely to continue as they’ve begun, and it’s harder to choose between them. While the Kings are obviously fun and playing the correct way, improvement for young, athletic players generally comes in fits and starts. De’Aaron Fox has taken a big step forward, but I would be shocked if he consistently maintains this level of play—and 3-point shooting—for the rest of the season. He drives the Kings’ success, so they may well slip below .500 if he drops off at all. Their loss to the Jazz showed what can happen if Fox doesn’t have a big game. The Grizzlies have long been a good team when Mike Conley and Marc Gasol are both on the floor, but betting on them would be a risky bet against recent injury history. The Clippers thrive because of depth, shooting, and strong team defense. Those are sustainable qualities. Milos Teodosic, Mike Scott, and Danilo Gallinari may not stay as red-hot from deep, but Pat Beverly and Lou Williams will also start shooting better. 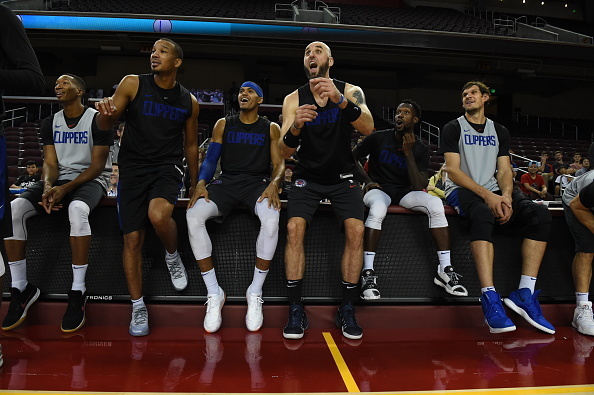 The Clippers are made to survive injuries and difficult sections of their schedule because their offense can come from a variety of different places, and their defense likewise isn’t built around a single piece. They aren’t all just role players, either. 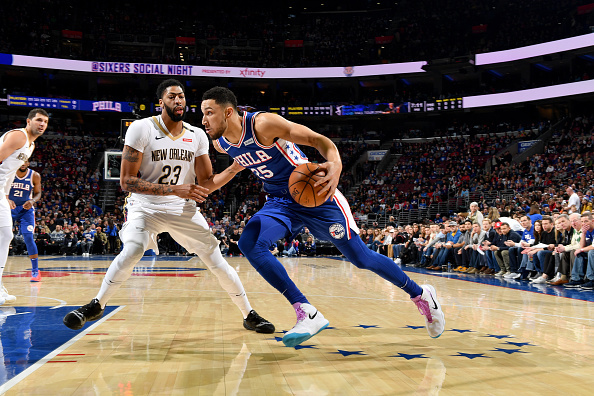 Williams, Tobias Harris, Gallinari, and others can all create offense for themselves, and a bunch of players can plug into bigger roles if necessary. Harris especially is rounding into an effective first-option player on offense. Montrezl Harrell is an awesome big who can do a little bit of everything on defense. His rolling hard after heavy screens is a great offensive skill, and the dude dunks everything. The Clippers may not continue to lead the West, but they should be good and competitive for the rest of the season. I’ll choose the Clips. Jezewski: If I’m risking it all and proverbially throwing the chips all-in on one of these teams, I’m riding with the Clippers. First, I’ll start with the other four options. While I think we maybe overreacted to the playoff run and the welcoming back of Kyrie Irving and Gordon Hayward, I still think Boston is a strong contender in the East and will figure some things out. The defense is too good, there is too much talent, and I don’t expect Hayward and Jaylen Brown to continue being gigantic disappointments this season. My thoughts are similar with the Jazz. Mitchell’s shooting numbers should tick up as the season goes on and taking some of the responsibility away on the offensive side would certainly help, in my opinion. I tend to believe that team’s with strong defensive backgrounds like Boston and the Jazz can figure it out. As far as the Kings and the Grizzlies are concerned, I definitely expect some regression. 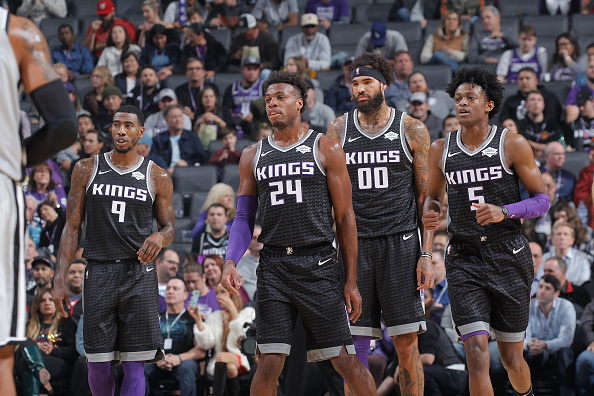 The Kings are currently third in the League in 3-point shooting percentage at 38.6 percent while taking over 28 treys per game. I expect that number to start to dip a little bit. For a team above .500, being 21st in the NBA in point differential also isn’t a fantastic sign for continued success. No team below them has a better record and the four teams right above the Kings are under that .500 mark. I haven’t watched a ton of the Grizzlies yet this season, but they’re 23rd in ORTG so if the defense slows down even a little, they could start to slip. I’m beginning to believe in the playoffs, but don’t expect them to stay near the top of the West. The Clippers have a really nice ‘starless’ core that I think benefits what they’re doing this year. Do I think you can make real playoff noise without the gravity of a star? No, but I think in terms of the regular season, the Clippers are in really good shape. sixth in the NBA in ORTG plus seventh in NETRTG is a pretty good place to start. The Clippers may have the best bench in the NBA , Tobias Harris and Gallo have both met or exceeded expectations and I’m excited for the present and future of Shai Gilgeous-Alexander. In a loaded West, I wouldn’t be shocked if LAC finished around 4/5. Nearing 20 games in, who is your Rookie of the Year, and how does he compare to the last few winners? 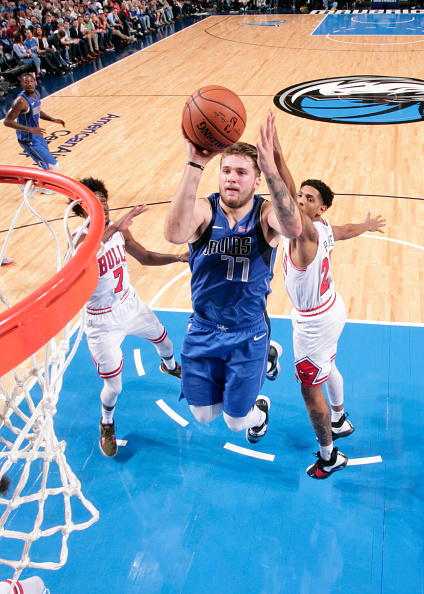 Zatzman: I have Luka Doncic as this year’s Rookie of the Year so far, and I’m sure I’m not the only one. Rookies rarely sport such a combination of high usage, advanced skills and a positive impact on winning. Certainly, no other rookie has had the same level of impact this year, and few have in the past, either. Compared to ROY winners who are still in the league, Doncic is impressive. His 19.1 points per game are more than all but Blake Griffin, Kevin Durant, LeBron James and Tyreke Evans, during their first years. His true shooting percentage of 57.3 is higher than any ROY winner but Karl-Anthony Towns. Most high-level rookies ooze potential, sure, but Doncic already makes his team better when he’s on the court. That’s rare. Compared to rookies drafted, arbitrarily, since 2013-14, Doncic is probably better at this point than anyone other than Ben Simmons, Joel Embiid, Jayson Tatum, and Donovan Mitchell. He doesn’t have the athleticism of any of those four, but his skills are certainly superior. I would rank him in the same tier. 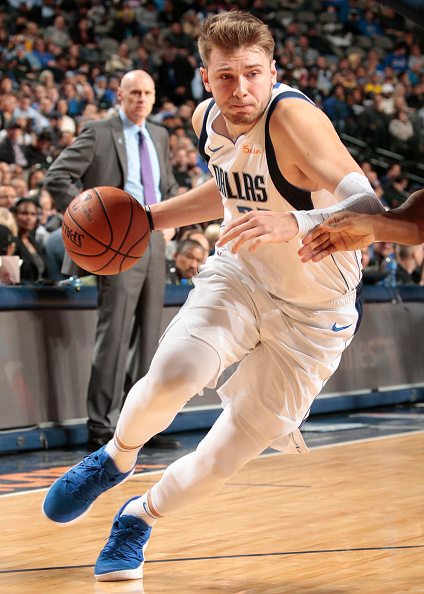 Cruz: It has to be Luka Freaking Doncic (that’s not actually his middle name but admit it, it sounds pretty good). After the draft in June, I was very skeptical that Doncic could replicate even a fraction of the success he had in Europe. As we all know, the NBA is just a different animal than all other basketball leagues in the world. Through 20 games, however, Doncic has been very impressive and definitely appears to be one of the frontrunners for Rookie of the Year. One of the barometers to gauge success in the NBA that I use outside of regular stats and advanced stats is “the wife test.” Here and there, my wife will half-watch a game that I’m watching and provide various commentary throughout should she look up and catch something interesting. During the Mavericks-Warriors game about two weeks ago, she looked up at one point from her work, saw Doncic and said, “The Warriors can’t really stop that super tall point guard.” I didn’t have a rebuttal. I’d say Doncic compares very favorably to past ROY winners like Ben Simmons (except he can, you know, shoot the ball well), Malcolm Brogdon and Jimmy Butler’s favorite teammates, Karl-Anthony Towns and Andrew Wiggins. 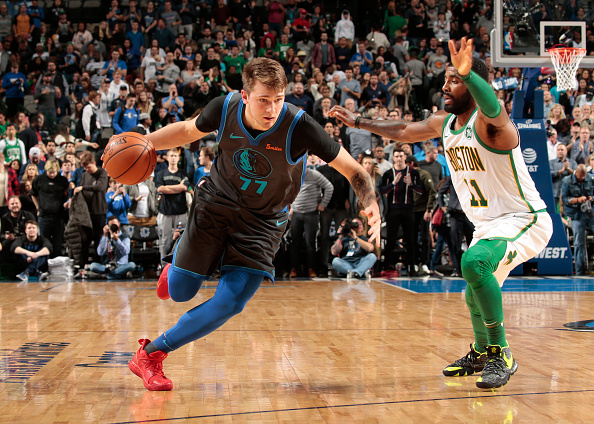 It’s crazy (and exciting) to see Doncic, at 19 years old, go out there every night and run an NBA team with the poise of a longtime veteran. Deeks: I have no reputation left to stake for question one, because I have already invested it all in the firm belief that Luka Doncic will be, and already is, the best player in this draft class. I am at least half right already, for he certainly is the latter. Being European and thinking this way about Doncic before the season started was frustrating; the much greater exposure to him meant a much stronger understanding of his sheer ability, but also a much greater level of resistance from those who didn’t agree. There was an orthodoxy of thought against Doncic that I found troublesome. He was—is—on a career arc that no European player has ever been on before. No one has done this much this early at this level. This matters, and yet people don’t want to hear it. The lens through which Doncic was viewed was a biased one, based in a pretty judgmental groupthink he shouldn’t have anything to do with. Put simply, much of the American audience seemed to want to be negative about him and his prospects. Shooting concerns were always overblown. He didn’t shoot efficiently, but he was taking tons of bail-out shots and tough stepbacks because he was the main playmaker on the best team in the world’s second-best league Also, show me a 19-year-old wing that doesn’t need to work on his outside shooting a bit. Doncic is a good athlete, with an excellent physical profile, even if he is not the run-and-jump player to whom we normally convey “potential” on. If people thought he was going to be Hedo Turkoglu or something (Mario Hezonja was an oft-brought up one because eh), as many did, that’s a problem. To tie up everything that goes into one’s physical profile, and thus their potential and ability, through the catch-all term of “athleticism,” is to allow that groupthink’s negative narrative to grow. Hopefully Doncic can serve as a repudiation of that going forward. After all, I have a reputation of being right once in every five times to protect. Jezewski: No gimmicks or outside the box picks for me here. Luka Doncic is my MVP through the first quarter of the season. No first-year player has taken on a bigger role with their team this season. Doncic is playing the most minutes of any rookie at 33.7 per game, scoring the most points at 19.1 and is doing that with a pretty efficient 45/40/78 slash line. As far as impact on the court, only four rookies playing at least 20 minutes per game have a positive plus/minus: Doncic, Shai Gilgeous-Alexander, Mikal Bridges and Miles Bridges. Many have certainly echoed it so I don’t’ claim it as an original thought, but his feel and basketball IQ certainly stand out. As far as comparing him to the past winners, obviously last year was a pretty good year as far as ROY went and I think you can at least put him in the same conversation, if just a touch lower currently, than a Simmons or a Mitchell. A far better year than the infamous Malcolm Brogdon vs. 30-game Embiid sample season. Ogletree: You know what I just said about Doncic not being able lead the Mavericks to a playoff spot in the West? There is strong possibility that I’m very wrong about that. This kid is good. He just looks so patient when he plays the game. He plays like a guy that is 10 years older than he his, waiting to get his shot. The one that he wants. Whether that’s from the post, the floater in the lane (deadly), or creating a shot for himself on the perimeter, it always seems to be at his pace. Watching him play is like watching the scene from Good Will Hunting where Will lights the math problem on fire. “Do you know how easy this is for me,” shouts Will (Doncic) to Lambeau (Cuban). As far as how he compares to recent Rookies of the Year, you only need to go back a year, except that Luka can actually shoot. But honestly, I feel like the actual answer is that his game is just more polished than Simmons or Brogdon or even KAT when he came into the League. It will be interesting to see if he can handle the grind of an NBA season, but playing professionally since he was 16 may help with that. Assuming the Washington Wizards are committed to dealing any and everyone, kicking off a long overdue rebuild, where would you most like to see each one of their big three (John Wall, Bradley Beal and Otto Porter) play next? Ogletree: For some reason, my initial thought was Wall to the Pistons. I have no idea why I thought that would work with the personalities already on that team and the way Blake Griffin’s relationship with the last star point guard he had ended, but after thinking on it a little longer it makes sense. Reggie Jackson has been fine, but Griffin is leading the team in assists. I’m not saying that the offense can’t run through Griffin, but I am saying that the team could benefit from a better facilitator. Wall can be that. To be honest, I don’t have a really good gauge on where Beal would be the best fit. But I have a few places I would like to see him go. The Lakers seem like a good place to start. They have plenty of pieces to give up so you could pair LeBron with a legitimate scoring threat. The same can be said for the Hornets if they won’t consider trading Kemba in what would now be a very winnable division. Kemba needs help plain and simple, but I doubt the Wizards would want to trade in the division. As for Porter, I would like to see what he could do for the Rockets in that offense. I like what I have seen at times from James Ennis and Gary Clark, but it just isn’t enough. Give Porter the same amount of shot attempts you gave Trevor Ariza in his tenure with the Rockets and I bet it will work out just fine. Zatzman: Wooo, blow it up! This is a fun one. Assuming the Wizards could even trade John Wall, and that’s a big assumption, he would be perfect in Miami. The Heat culture would maximize his skills, as fitness and consistent energy have historically been Wall’s Achilles heel. Bradley Beal is a hugely underrated player who could fit alongside any player type or within any offensive structure in the League. That being said, the team that might make the biggest leap with adding Beal is the New Orleans Pelicans. Though their lack of wings has been exaggerated—E’Twaun Moore is pretty darn good on both ends—they haven’t had a star wing who can create for himself and others while playing lockdown defense for the entirety of the Anthony Davis era (2014-15 Tyreke Evans might be closest). Beal would manufacture so much space for Davis and Jrue Holiday actions, and he could even handle some primary offense creation of his own. 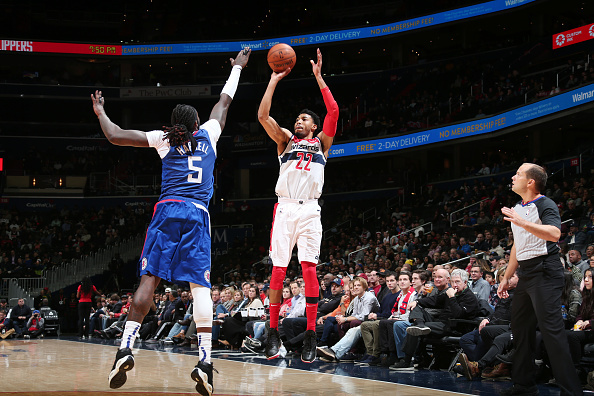 Otto Porter Jr. is best with low expectations and no plays called for him. He’s a perfect 3-D player, but he needs to be on a team with enough offensive creators that he isn’t asked to do too much. It hurts me to say it, but Porter would fit perfectly in Boston. The Celtics have a few too many cooks right now, and they could use a high-value guy who doesn’t need to touch the ball. Cruz: Wall and the Orlando Magic could be a match made in weird basketball heaven. The Magic’s roster is confusing beyond belief right now with a plethora of big men but a point guard rotation that currently consists of DJ Augustin, Isaiah Briscoe, Troy Caupain and Jerian Grant. Now, no disrespect to these dudes, but in a league where point guards are—dare I say—very important, their current crop of PGs aren’t scaring anyone. Plug Wall in there with Aaron Gordon and their 73 other power forwards/centers and you’ve got my League Pass attention. Beal could possibly fit in nicely with the Detroit Pistons. A one-two punch of him and Blake Griffin is pretty intriguing from an offensive standpoint. It’s also intriguing from a “two-guys-who-had-a-ton-of-drama-on-their-former-teams-and-could-shine-together-to-prove-everyone-wrong” standpoint which I know is very quantifiable. Porter would be awesome to see on the Warriors from a basketball perspective. I fully understand the financials make that impossible, but the question is “most like to see” for their next team so, boom – there’s my answer. The defending champs seemingly always need a three-point scoring punch off the bench and Porter would provide that. But it would also just be pure entertainment to watch the internet lose their minds over someone else joining the Warriors. I love that song. Deeks: Wall should stay where he is. 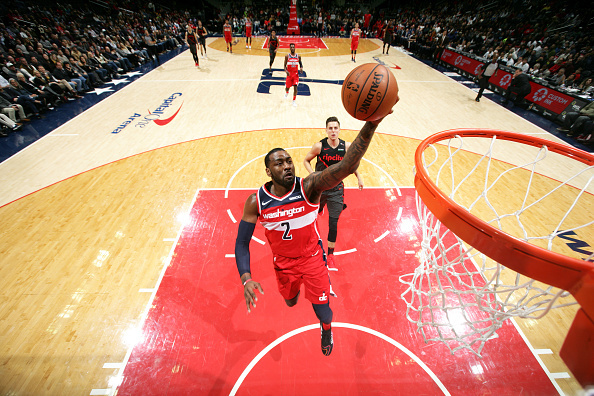 I have no idea how the Wizards could ever flank a title-competitive team around him, given his style of play and their viscous roster construction situation, itself largely due to the sheer size of Wall’s contract. But they don’t have to be title-competitive, just good and fun. You can build good and fun teams with Wall, and there is no way he would command value in trade commensurate with his talent, so he should stay. His value here is better than elsewhere. As for Porter, if the Nets are prepared to relent $7 million of next year’s cap room (less than an MLE amount; could still add someone like Tobias Harris and then re-sign Russell and Dinwiddie afterwards) to structure a deal around Allen Crabbe and Dzanan Muza to get the man Marks always wanted all along, that works for me. It is a clear talent upgrade, but it depends on the value they place on that cap space. I would also like to see him on the Kings for their expiring contracts and excess of young players; if they are prepared to take Ian Mahinmi as well, they would probably win. And as for Beal, if Washington is really going to do this, they need to get someone of some caliber still on their rookie deal. Unfortunately, the team’s best suited to him—Miami and Charlotte—don’t really have that, unless Bam Adebayo is on the table. Excess of shooting guards notwithstanding, though, Orlando would be fun. Jezewski: This is an interesting one and one that I’ve heard/read a lot of discussion about. I will preface this by saying I don’t particularly love John Wall or his style of play over the last few seasons. That being said, I think a change of scenery with a young team could do him good. I’m sure he wants to contend, but my choice for a fit is the Orlando Magic. Sitting at 10-10, the Magic’s biggest issue is the point guard position. Tenth-year veteran D.J. Augustin would be a nice backup to Wall, but they need a spark at that position and maybe Wall can be that. With Augustin and Fournier in the backcourt, Orlando doesn’t have that go-to guard when they need a bucket or to get to the rim. The Magic aren’t strapped by many massive contracts, have some nice young pieces and could be scary defensively with all their length if Steve Clifford could convince Wall to give effort. 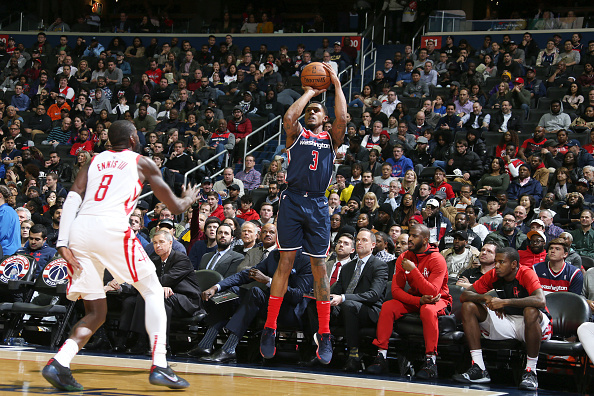 For Beal, I will say I wouldn’t mind seeing him get a chance to be the guy the Wizards build around while offloading Wall/Porter. He has a contract that any team that could afford it would be happy to take and he continues to improve. For the sake of the question, give me Brad Beal alongside LeBron James in LA. Sign me up for one of the smartest passers in basketball history having a real spot-up threat that can also do plenty more with the ball in his hands. Not a bad second banana to help bring in another big piece next offseason. Otto Porter is an interesting one because most teams probably don’t want the contract, but he can really fit with just about anyone as a 3&D wing. While there was plenty of talk about the Rockets pursuit of Butler, I could see Houston being a nice fit for Otto. 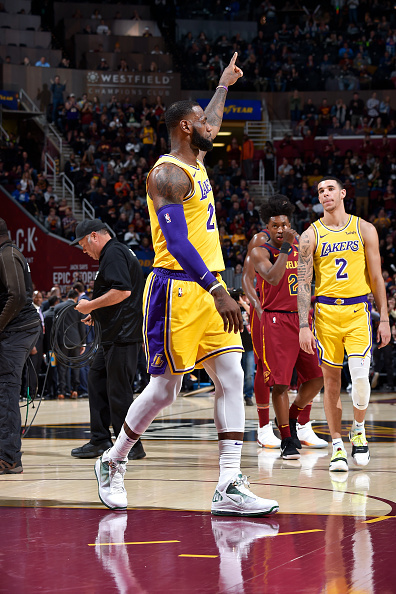 LeBron returned to Cleveland, played big and got his Lakers the win. But surprisingly, it was a minor spectacle. It paled in comparison to his prior return and on a whole, it didn’t garner huge league wide attention. Has the League adjusted to the era of player movement? Have people accepted the current reality or is this specific to James? Jezewski: I think it is a little bit of both. At this point, I think the League has adjusted better than the fans have. Guys have the freedom to move around and do what they feel is best, while teams have that same freedom to move on and do what they feel is best for the franchise. Being it wasn’t the first return for LeBron, I certainly understand why it wasn’t as big of a deal. A minor point, but potentially important, is that I think people handle moves better when it is East to West or West to East than staying in conference. Ogletree: To me, it had more to do with the fact that the Cavs aren’t very good, and everyone knows they aren’t very good. If the Cavs were closer to .500 then maybe this would have been a better sell. But to answer the question, I think fans have become accustomed to or even somewhat numb to player movement now. After the Big 3 in Boston, LeBron’s move to Miami, and then Durant’s move to the Warriors, LeBron’s move to L.A. didn’t surprise me at all. It makes a splash because these players are of such a high caliber, they immediately change the outlook of the team they are going to, but its short lived because we as fans know they could bounce in two or three years if they wanted to. I feel like we are now more surprised when someone says they want to stay with a team for their career. What I do think is specific to LeBron is that he is one of the few players that will have a following no matter where he goes—the “I don’t root for a team, I root for LeBron” crowd. So, there is a large group of fans that have accepted him wherever he goes and it doesn’t faze them one bit if he leaves one team for another. If LeBron decided when his contract was up, that he wanted to go to the Jazz, that #23 Utah jersey would be flying off the shelves. Another Tuesday night game against the Nuggets is just another night for the LeBron stans. Zatzman: Whether the League has adjusted to accept player movement and whether media and fans have changed their perceptions of LeBron James aren’t mutually exclusive questions. I would actually say both are true. Even though individual markets remain hostile when stars leave—think of Gordon Hayward drawing ire in Utah—the general populace of fans seems to understand that players are people with human motivations who are allowed to change jobs and cities. It’s also true that the way we discuss LeBron James has changed over the past few years. The fact that he went back and won a championship for Cleveland healed some hurts, and he hasn’t made a PR error as egregious as televising The Decision, despite leaving multiple franchises. It’s good that players are empowered to make their own life choices, and it’s good that most fans don’t burn their jerseys in retaliation. Cruz: I do think the NBA on a whole is adjusting and embracing the era of player movement. The players themselves are following Jordan’s path and trying to become bigger brands than most teams in the League. Fans are becoming more and more about following their “guy” as opposed to their “team” with LeBron being the extreme example. I still think team loyalty is prevalent and won’t die out anytime soon but, in an era, where players are attempting to take more control of their careers than ever, I do believe everyone is starting to accept the reality that moving forward, elite players may choose to jump from team to team to team. Loyalty to a team in a sport featuring a draft is a false concept. We allow each their own motivations in any other profession, and so we should in sports, too. If I took the obvious choices of Anthony Davis and Giannis Antetokounmpo off the table, who is the best player in the NBA over the next 10 years? Deeks: Joel Embiid. All he needs is some further polish and good health. Jezewski: This is a fun question for sure and I tried to limit my decision to guys under the age of 27. Younger was better in my eyes, but I also wanted someone who has already proven to be elite. That brought me to my answer. Joel Embiid. 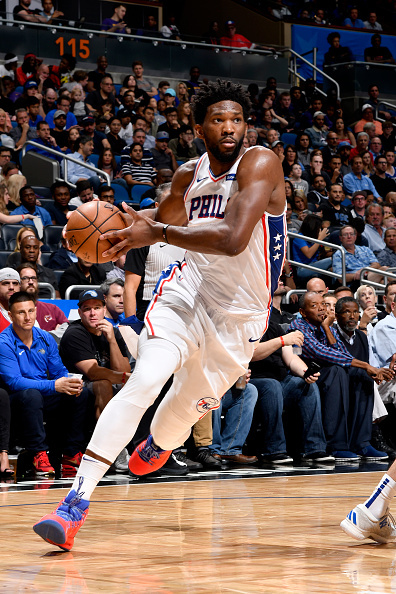 After making great strides last season, Embiid has proven to not only being a dominant force, but also to being able to handle the rigors of a full slate. Embiid has played in all 21 games while handling a 35-minute per game grind. Averaging 28 and 13 while adding 3.5 assists per game and a pair of blocks per contest is an insanely impressive feat at 24 years old. With Embiid on the floor, the 76ers score 114 points per 100 possessions while allowing only 104. This is a DPOY candidate that handles a full offensive load at the center position. That is unique. That is highly valuable. That is why I believe Embiid is the choice sans Giannis or AD. Zatzman: Is it too soon to say Zion Williamson? I’m only half-joking with that idea. But even though Nikola Jokic and Ben Simmons have outside shots at ending up better, Joel Embiid has to be the best bet. With his size and skillset, he is one of a handful of players who could feasibly change the paradigm of successful strategy in the NBA. The only guys who have averaged his current numbers over a full season are Kareem Abdul Jabbar and Shaq, and Embiid has a whole lot of improving left to do. Every year, his efficiency has increased while his turnovers have dropped. Even though he hasn’t yet become an elite shooter, a positive sign is that he shoots well enough on jump-shots after zero dribbles, and on shots that aren’t late-clock bail-outs. Regardless, becoming a shooter would only be a cherry on top of his already dominant qualities. This year, Embiid has shot 55 percent on all field goal attempts that aren’t jump shots. He has the foundation laid to shoot at league-leading efficiency alongside a sky-high volume. He can be so efficient in the post against a smaller defender that a shot from an Embiid post-up could be more valuable than a semi-open triple the other way. When he plays small lineups off of the floor, he isn’t just beating opponents, but math itself. Without Embiid on the floor, the 76ers are 13.8 points worse per 100 possessions, per CTG. That’s better than almost any other player his age, including Antetokounmpo (but not Davis). Unlike other youngsters like Devin Booker, Embiid is even better on defense than he is on offense. There’s room to improve there as well; even though he drops on almost every action, he could theoretically swallow offenses whole by switching. Simply put, he changes the NBA in a variety of ways and will be doing so for a long time. 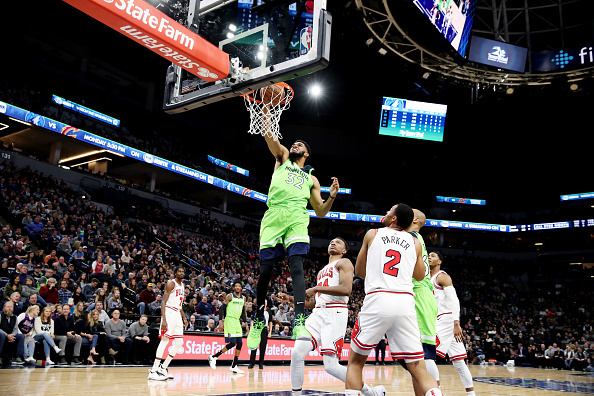 Ogletree: It has to be Karl-Anthony Towns, right? Right? I only ask twice because after this offseason, Jimmy Butler has made me unsure. He even got in my head. Joking aside, Towns is a statistical monster. A 7-footer who has averaged 20 and 12 while playing in all 82 games each season to start his career. On top of all of that, the dude shoots 40 percent from 3. Now, his success is all dependent on if he has a coach that can utilize his skillset, and not run him into the ground before he’s 25, and if Andrew Wiggins can ever turn into the player people thought he was going to be. We may be past that now. Hopefully all the massive numbers Towns is putting up aren’t empty like Kevin Love during his time in Minnesota or Chris Bosh in Toronto. Hopefully it equates to some playoff series wins. Only time will tell. Cruz: Even though he still can’t shoot the ball (which I hear is an important aspect in the game of basketball), Ben Simmons is my pick for the best player in the NBA over the next 10 years that isn’t from Greece or loves his unibrow a little too much. Simmons is a 6-10 point guard (try saying that phrase to a hoops fan stuck in the “good ol’ days” mindset and watch them have a brain aneurysm) and in the short time he’s been in the League has demonstrated elite skills in almost all aspects of his game—except of course, shooting. But unless your name is Michael Kidd-Gilchrist, you can work on and improve your jump shot in the NBA, so Simmons still has plenty of room to grow into a more complete player than he already is. My biggest issue with Simmons right now is that his Australian accent seems to be almost gone which leads me to wonder: Is he really Australian? These are the real questions we need to ask ourselves of these rising superstars.